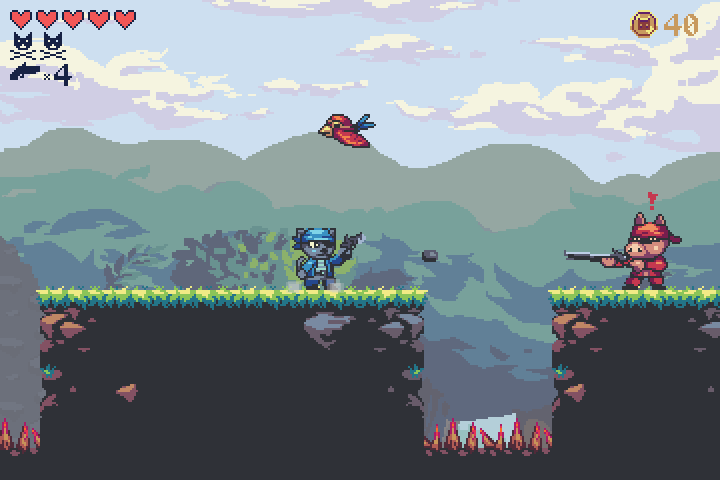 Hello guys, I'm here to show the game that me and my friend was creating using MonoGame. This was the first that we begin so we learned a lot. 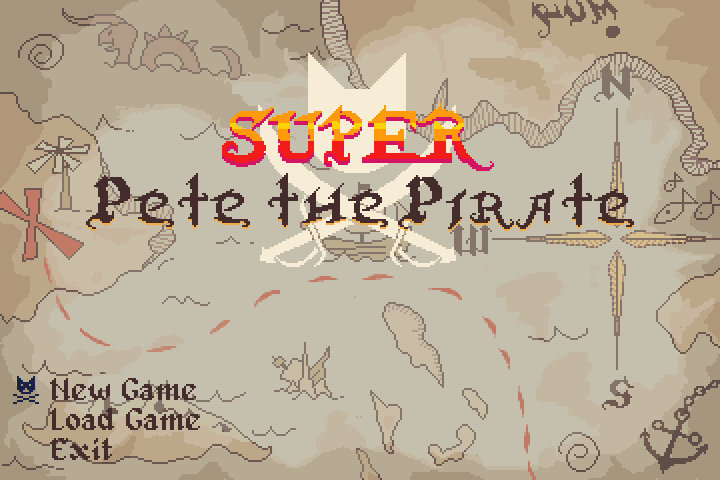 In the game you control Pete, a captain that is in your adventure at the sea. In the middle of the travel, his ship is looted by other pirates inside a dense mist. They take a very important thing to Pete: his hat. Pete is put on the board and is expelled from his ship. After the mist, Pete reaches a coast and decides to explore it, but something happens: he found the pirates that are with his hat! Now Pete want to recover his hat no matter what happens. The game is full open source, because while I was programming this game I learned a lot, so I think that other could benefit from this too. I also want to thank you guys that helped with the game development, without the community support the game would take a lot longer to be completed. Well done. It looks good. Congratulations mostly on completing a game. There are so many more games that are started but never finished. 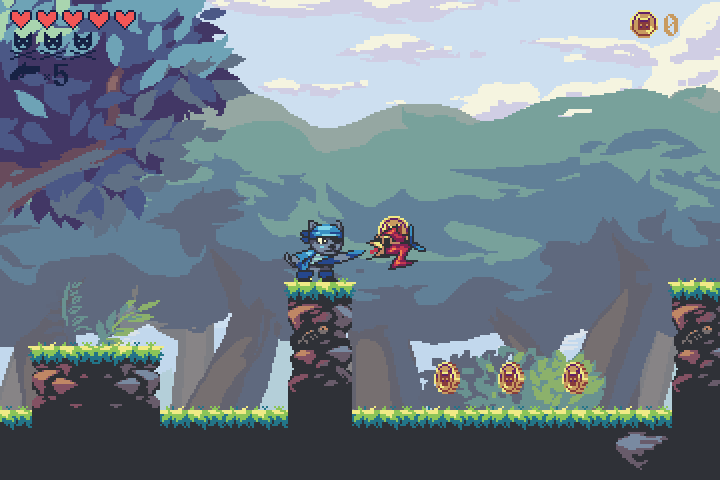 I've been meaning to put a showcase page up of games made with MonoGame.Extended. This one definitely needs to go on the list. Nice Do you have a tile editor for it? Maybe a screen shot? And the game looks very nice, very professional! The player physics are way too fast and the camera can be annoying, especially falling. The most important thing you need to change are the bullets. Animations and extra layers of colors, probably whites/grays/blacks will heavily improve the player's enjoyment and remove the heavy amount of frustration that is about to occur and that frustration will be great, I can assure you. We use the object groups to place the enemies, coins and the spawn player (and other stuff). To the collision we use a specific layer called "Block", but in the next game we are going to use the object group as well because they are better than the tile layers for this purpose (besides the fact that the objects can have any shape, they are more visible than the tiles in the editor). Kudos for that mate And the game looks very nice, very professional! I agree with the improvements, indeed this suggestions would make the game better, but we just want to finish it (and from the beginning the plan was do it simpler) so we didn't polished it a lot.